"Qualcomm is attempting to use injunctions against our products to try to get Apple to succumb to their extortionist demands. In many cases they are using patents they purchased or that have nothing to do with their cellular technology to harass Apple and other industry players," an Apple spokesperson said. "To ensure all iPhone models can again be available to customers in Germany, we have no choice but to stop using Intel chips and ship our phones with Qualcomm chips in Germany. Qualcomm is working to eliminate competition by any means they can, harming consumers and stifling industry innovation along the way." 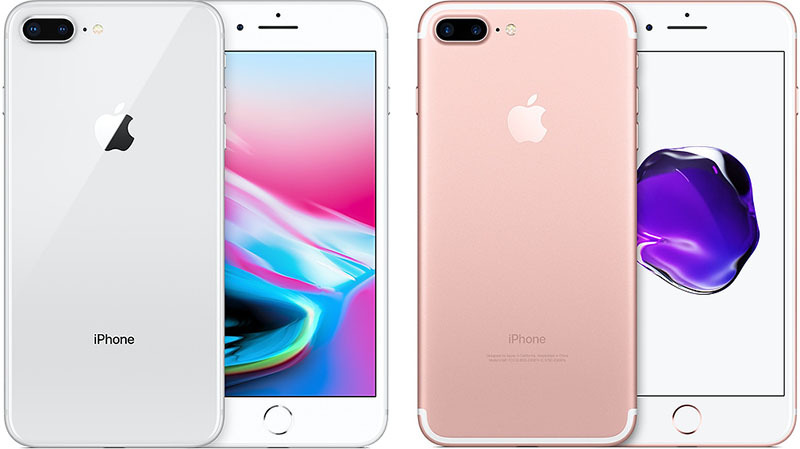 Mobile chip supplier Qualcomm sued Apple in Germany alleging that some older iPhone 7 and iPhone 8 models violated Qualcomm patents related to so-called "envelope tracking," which helps mobile phones save battery power while sending and receiving wireless signals. The German court sided with Qualcomm and demanded Apple stop selling the offending iPhones in the country. "Qualcomm is attempting to use injunctions against our products to try to get Apple to succumb to their extortionist demands." I do not see other manufacturer complaining about Qualcom, quite the opposite. Wow, I didn’t realise Apple’s proprietary interface was used on all portable products for all manufacturers and Apple own or control the patents for any peripherals used on any phones. accessories for an iphone are not a fundamental requirement for all phones. Not the point I was trying to make. But if you want to make something Compatible with iOS you have to pay their high (Apple) fee, if you want to use Qualcomm ....pay their high (Qualcomm ) fee! stifling industry innovation along the way." I think many would call this 'playing Apples own game'. Also, very hypocritical of Apple to make that statement when there are many companies around the world who have suffered at the hands of Apple because the same was done to them. Also as well, if the infringing IP is in the Intel chips, shouldn't the issue be taken up with Intel instead of Apple? But if you want to make something Compatible with iOS you have to pay their (Apple) fee, if you want to use Qualcomm ....pay their (Qualcomm ) fee! What is Apple to do, not sell phones anymore? Note: I think a bunch of Apples patents they held and fight for are also ridiculous and should not exist either. Note 2: Qualcomm also prevented Samsung from selling any of their chips too. Ever wonder why every single smartphone in the US has a snapdragon? I agree. It still had a headphone jack. I wonder if this means these "modified" versions will perform faster then? Or Apple will artificially throttle them to match the Intel versions? They are throttling the max speeds but average connections speeds should still be better with also better signal on average and lower power consumption. To me is sounds like a win for German iphone costumers. Consumers should be given the option of choosing between Qualcomm or alternative option for lower cost.